I READ this in a US InStyle magazine more than 12 years ago. I was so inspired then that I cut it out and stuck it to my bedroom mirror where it sat for years. Wise words to dress by! 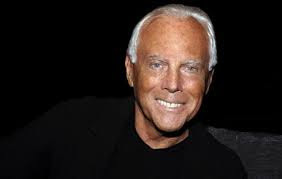 Giorgio Armani, the man who made subtle look chic, believed that less is more luxurious, more comfortable and more flattering. Here are his top 10 tips for dressing simply. Don't completely change your look from head to toe. A new style of jacket or pants or accessory is often enough to update your wardrobe. When buying a basic item such as a coat or jacket, consider it an investment. Make sure it’s something that will last. Buy only pieces that will work back with items already in your closet. Base your wardrobe on a colour palette that works together. Think of accessories as essentials, not extra pieces. Don't wear too much jewellery. One statement piece is plenty. Cultivate simplicity as a style philosophy – as a way of being.